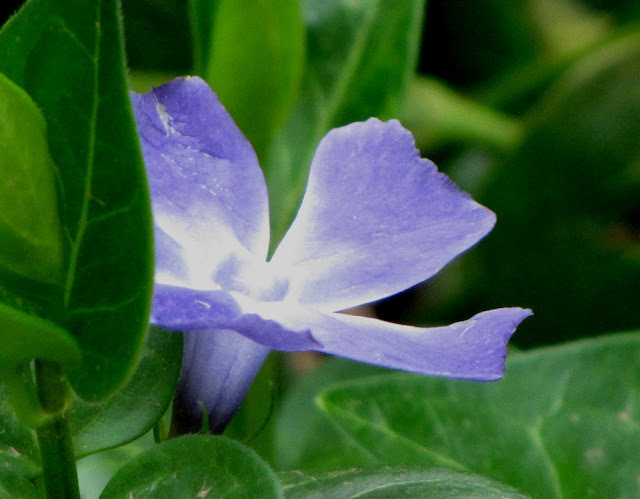 There is a bed of periwinkle that grows wild around the northeast corner of my house. It is one of the earliest bloomers in the spring and the leaves stay green over the winter. I am an admirer of anything that can survive our hot dry summers, especially if it blooms. How lovely, and they're nice to paint (watercolour that is). Gorgeous periwinkle! Your photo does look like a painting. I'm visiting from Macro Monday. Have a great week. One of my favorite colors. What a lovely macro! Beautiful shot! We are having a late spring, so I've only seen crocus so far.